This music video was created using Pro Tools. After nearly half of his lifetime working in Pro Tools creating music, Reazon from DAE Music decided he wanted to create something entirely different. AJA has released their latest video card - the KONA 1, which is a PCI-e single-channel 3G-SDI 2K/HD 60p I/O video card with serial control and reference/LTC that is approved for Pro Tools on both Mac and PC Platforms. 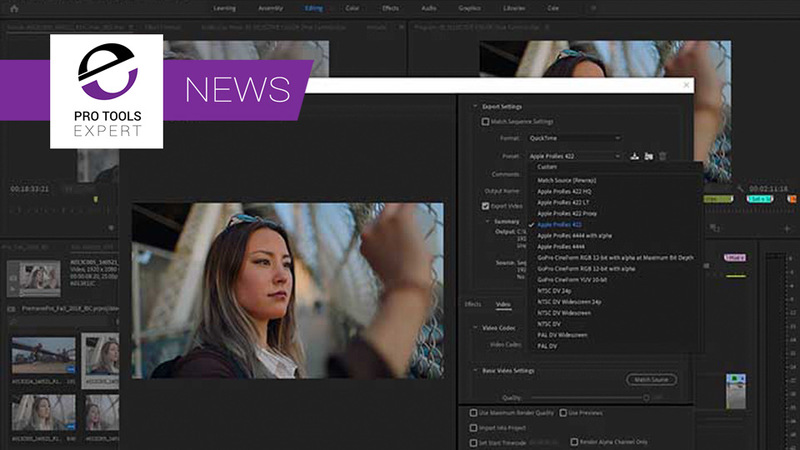 Final Cut Pro is one of the top video editing apps with lots of great features. It has been designed to offer a self-contained eco-system for edit, grade and sound. However, this means that when it comes to Final Cut Pro X working with other applications it can be a challenge. For those who are used to working in DAWs like Pro Tools then Apples idiosyncratic approach to audio in Final Cut can feel limiting, especially when one wants to do things like duck audio, for example. This is not an article to debate the pros and cons of the Final Cut audio workflow, but to offer those who want to cut video in Final Cut but mix the audio in Pro Tools a way to sync Final Cut Pro X with Avid Pro Tools. We get a lot of questions about video file formats and Pro Tools and which one is best to use and also some misunderstanding about terminology and definitions too. In this article, we will be trying to clear up some of the confusions as well as answer the key question "What Is The Best Video File Format To Use With Pro Tools?" 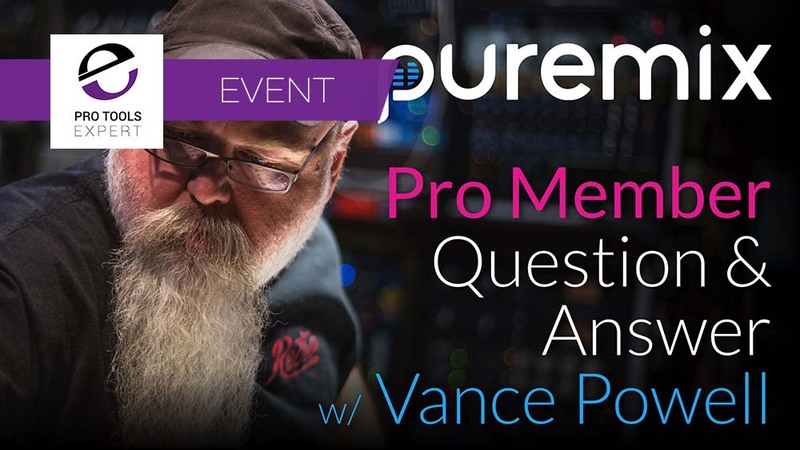 Puremix is running a live Q&A session with Grammy-winning Engineer Vance Powell tomorrow (Thursday 28th September 2017 4 pm EST). This event is open to Pro Members only who have the opportunity to submit a question on anything from mixing, mastering, production, business and clients through to beards, hats, etc. Be sure to check out all of Vance's tutorials and come ready for an enlightening time. Our YouTube channel features over 1200 videos which have been watched over 14 million times by nearly 100,000 subscribers. Our YouTube channel features reviews, tips, tricks and interviews. We were recently contacted by YouTube and told that if we can get to 100,000 subscribers then they can offer us some great facilities and services that would enable us to serve you better. With over 96,000 subscribers we just need a little push to get us there. In this 2 hour long tutorial, Fab Dupont walks you through step-by-step how he took raw, super clean tracks from great sounding rough mixes to an incredible sounding record for legendary recording artist David Crosby. Quarter inch jack cables have a tendency to break or at least show signs of weakness against angry drunken guitar players who yank their connectors right out. It is nothing personal, and bass players do it too. In this free tutorial video from pureMix, Mike shows you how to identify a bad solder, how to fix it and demonstrates how to make your own cables. If you use Pro Tools 12 then you may not be aware that when the Avid Video Engine is turned on in your Playback Settings, that it immediately allocates nearly 3GB of memory before you open a Session. We show you how to deal with this. Keyboard Focus modes allow a great number of one key shortcut commands that can drastically speed up your workflow. In this free Pro Tools Quick Tip from pureMix Mark Abrams shows us how to quickly toggle between the edit, clip and group keyboard focus modes.